If you have never read the comic, Calvin and Hobbes, it is a real treat. Calvin and Hobbes came on the scene in 1985 and ran until 1995. It was a great comic, and I looked forward to the paper, just to check in on their new adventures. I hope this little quip from Bill Watterson, Calvin & Hobbes creator, brightens your Friday. Have a great Friday everyone! It’s time for a well-deserved weekend! 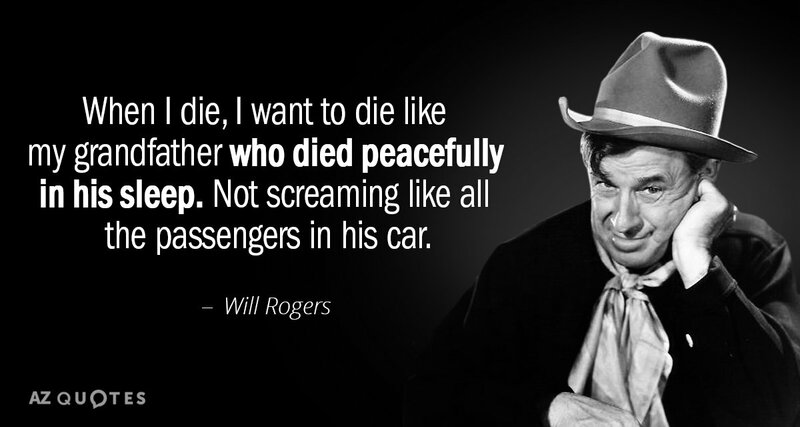 This is one of my favorite Will Roger’s quotes–absolutely hilarious if you have a dark sense of humor like I do.